Before joining Katten, Jonathan served more than five years in the US Attorney’s Office for the Northern District of Indiana. As an Assistant US Attorney, he handled a wide range of matters, including public corruption, tax evasion, RICO, money laundering, bank fraud, insurance fraud and embezzlement of employee pension and benefit funds. He tried many federal jury trials and handled and argued appeals before the US Court of Appeals. He also headed the Northwest Indiana Public Corruption Task Force, an interagency group targeting public corruption in Indiana, and successfully prosecuted a number of prominent public officials. Jonathan received a Director’s Award for Superior Performance as an Assistant US Attorney. 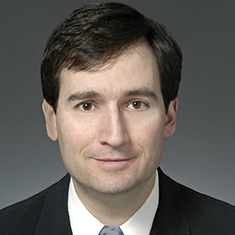 Jonathan began his legal career as a federal appellate court clerk for Judge Collins Seitz of the US Court of Appeals for the Third Circuit and then joined another large law firm in Chicago, where he acquired significant experience in civil litigation representing major corporations, commercial banks and other business entities and individuals in civil litigation in federal and state courts.